PHOTOS SUBMITTED Before and after photos of the rooms and hallways at Calvert Elementary School. 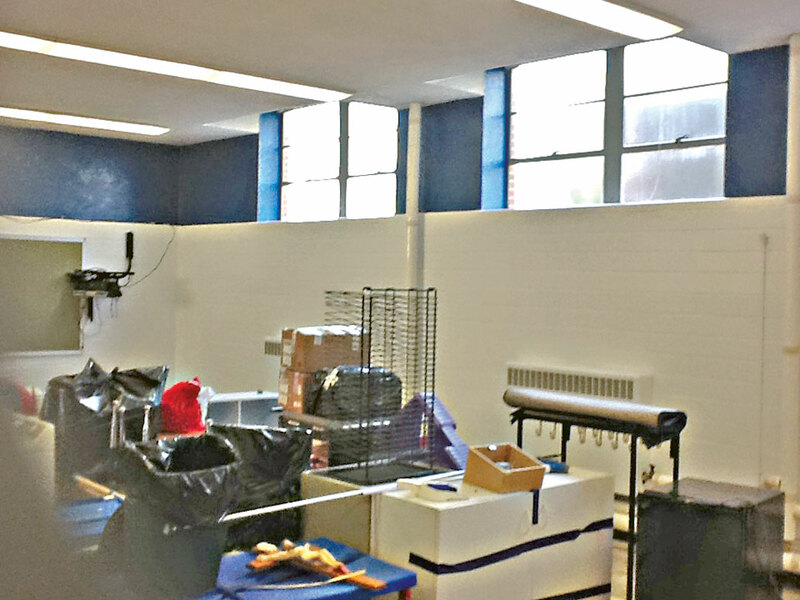 Through a grant, Calvert Catholic Schools has been able to update the high school and elementary school through refurbishing projects. The grant, Painting a Brighter Future through True Value, is the third year the school has been able to secure the grant, David Kraft, a teacher at Calvert, said. The grant is available to K-12 schools in an effort to update buildings, Jenifer Michaels, a grant writer who helped Calvert secure the grant, said. The Tiffin True Value dealer is Grand Rental Station and the business applied on Calvert’s behalf for the grant, Michaels said. According to her, Calvert received a donation of 30 gallons of pant. The paint is being used to update the main entry areas, bathrooms and classrooms. Kraft also has been coordinating the painting of the buildings. He and a former classmate — Mike Marinas, who was employed by Sherwin Williams — helped the school attain multiple gallons of paint for the projects, Kraft said. The local Sherwin Williams in Tiffin, with Manager Nick Macmillan, also has helped with the project by mixing paint to the school’s specifications and by donating other supplies. Kraft said it has been important to update and freshen up the building. 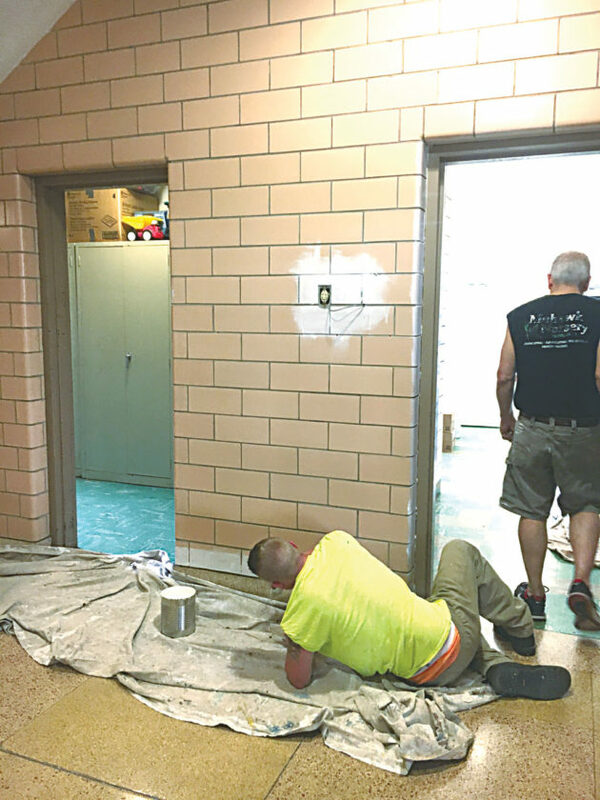 A Seneca County Corrections work crew and Deputy Brandon Stevens also helped with labor by having inmates paint the facilities. Kraft said they have painted almost 80 percent of the high school and about 50 percent of the elementary school. According to Michaels, Calvert has been a recipient of True Value’s Painting a Brighter Future, National Machinery (multi-year award) and product donations from Sherwin Williams Co. A fund was set up through The Columbus Catholic Foundation, which provided the support for Calvert’s Creator Space, opening in the 2018-2019 school year.